It’s been 7 sleeps since we’ve moved in. During the last few days, I’ve been relishing what it feels like to finally be HOME. It’s something I haven’t felt for over 2 1/2 years. We’ve worked all day long, unpacking boxes, hanging curtains, designing our pantry, organizing the garage and of course, hosting Thanksgiving. Through it all, it’s still practically felt like a vacation. I am incredibly over the moon to finally be HOME. While we prepared to move, our table headed off to the PNW Farm Tables shop. These people. Where do I even start? Once in awhile you come across a person or even a page on the internet and you’re instantly inspired and totally hooked on them and what they do. That’s how I felt about the PNW Farm Table Instagram. I know it might sound a little silly, but when I stumbled upon their page, I wanted to cheer. Everything was gorgeous and they were a local couple from Arlington! Our table is a piece of history that was given to us by the sweetest lady, Debbie. 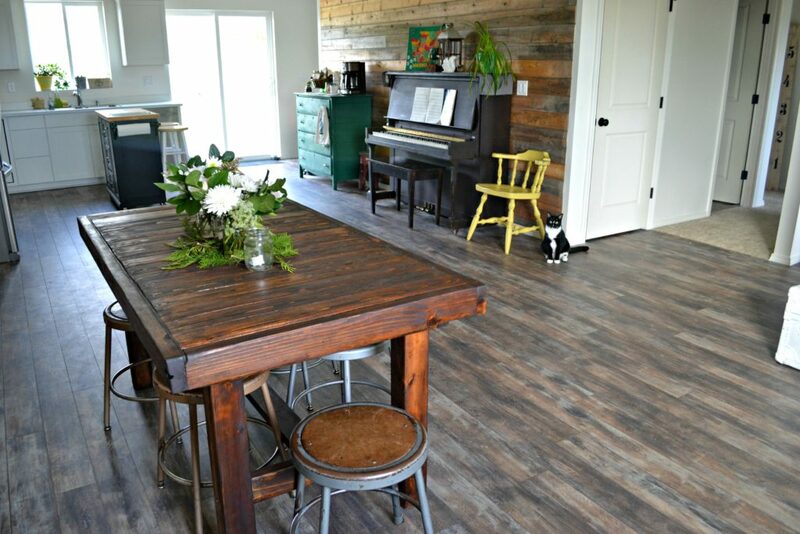 Her dad made it decades ago and as much as I love the story it tells, it needed a makeover. The top was uneven and things spilled easily. 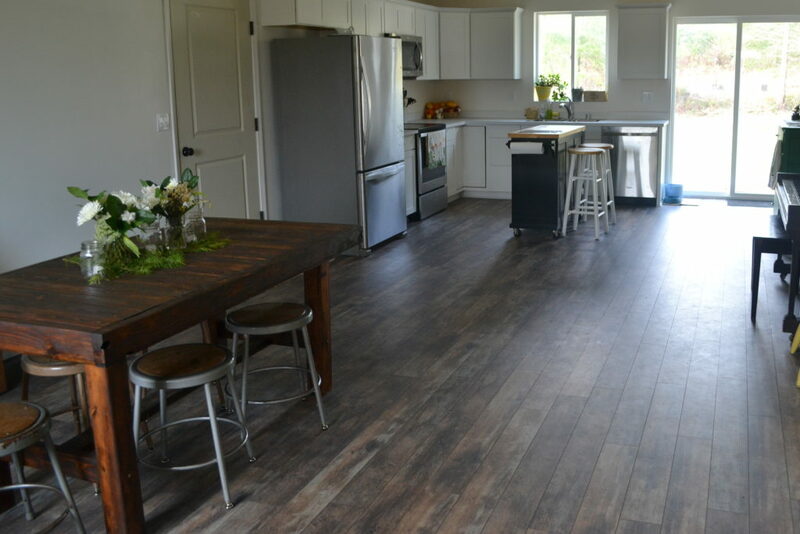 The boards had spaces between them, which made it impossible to keep clean. Something needed to be done, but the original character needed to be honored. 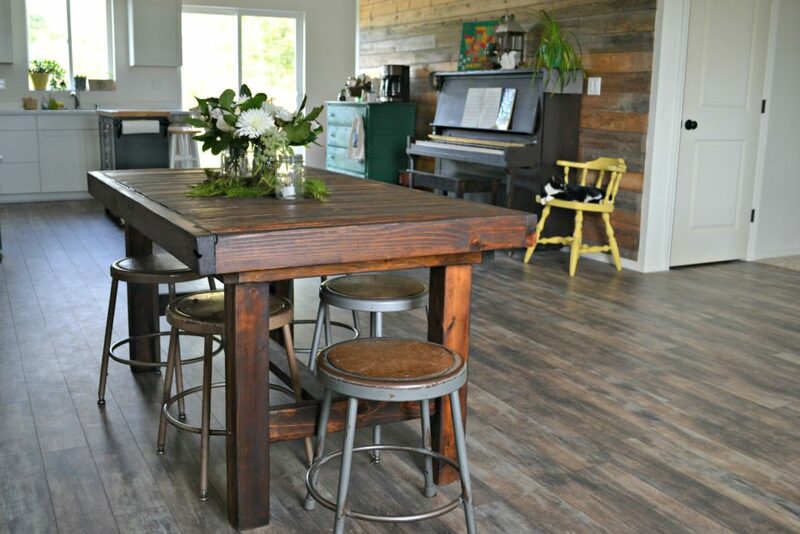 Britni and Peter from PNW Farm Tables maintained that original character that I love, but made the table to be incredibly functional for our family. There’s so much that happens around a table. Family dinners. Homework. Coffee with friends. Projects with kids. Christmas dinners. First day of school breakfasts. Spills. Grace. Having a table that gives you all the good feelings is huge. This is where a lot of life happens! 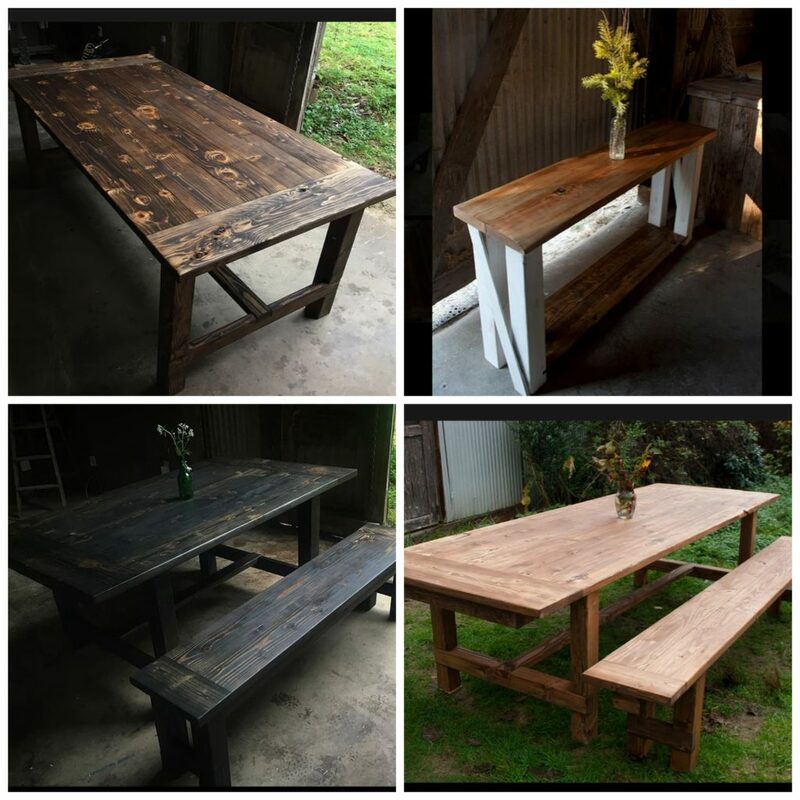 Whether you’re looking for a custom table, a knock-out-gorgeous picnic table, a sofa table, end tables or custom barn doors, I can’t recommend PNW Farm Tables highly enough. 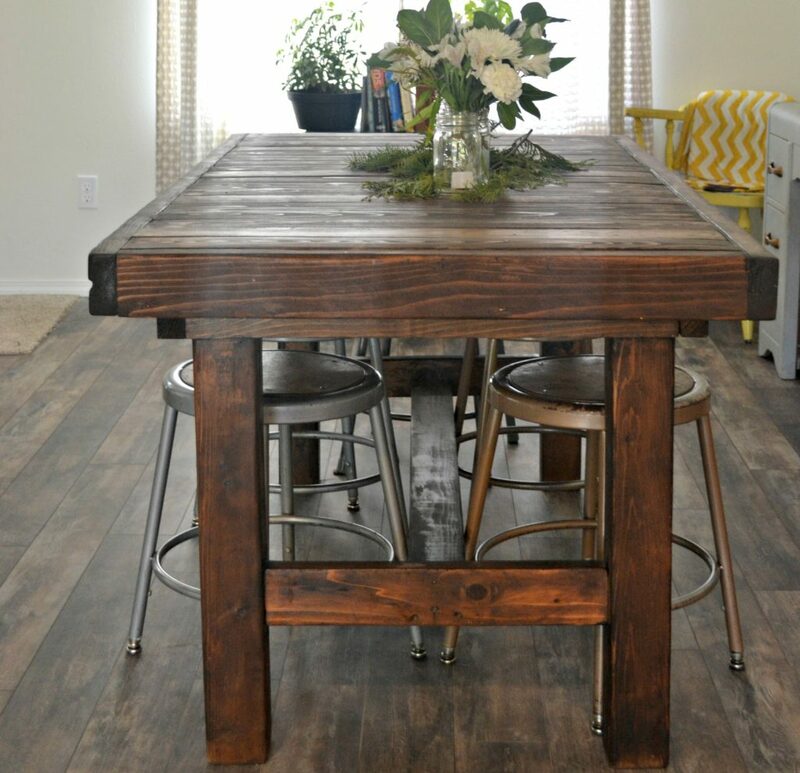 These are the tables that you’d pass down from generation to generation. 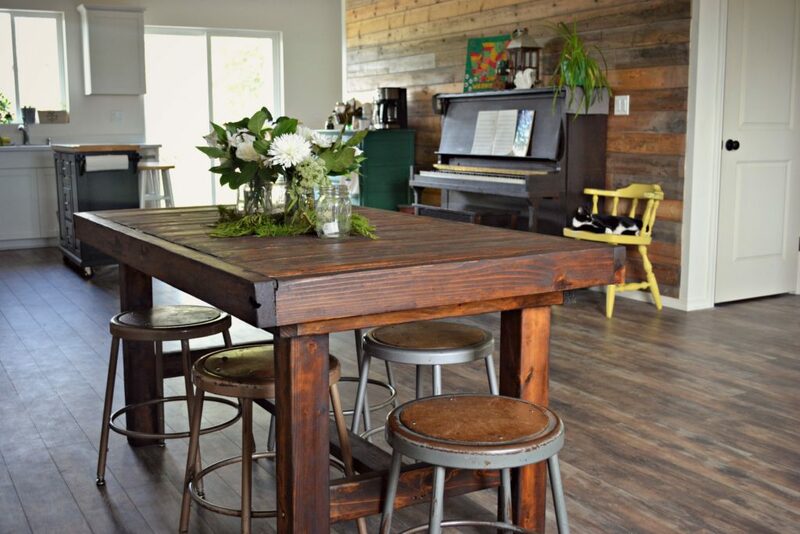 These tables live to tell stories of all the great memories that are made around them. “We don’t come to the table to fight or to defend. We don’t come to prove or to conquer, to draw lines in the sand or to stir up trouble. We come to the table because our hunger brings us there. We come with a need, with fragility, with an admission of our humanity. 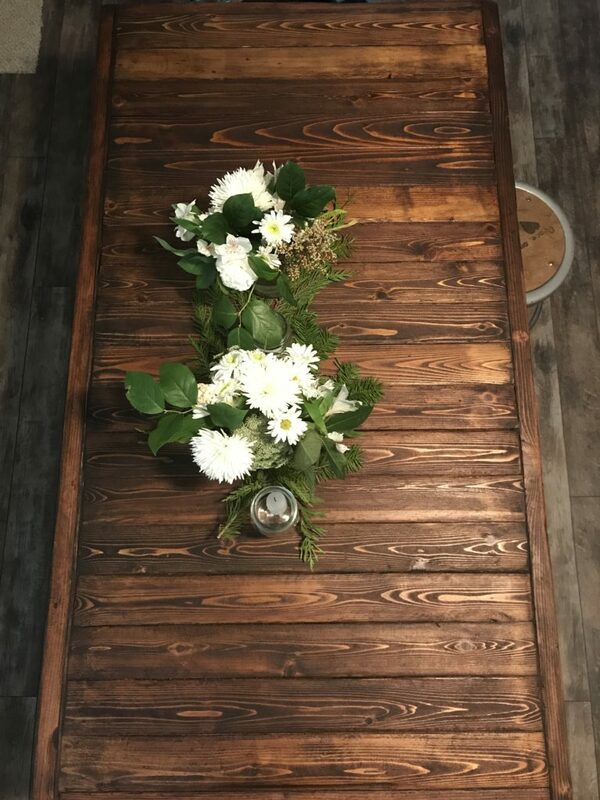 A huge thank you to PNW Farm Tables for restoring our table to exactly what I’d hoped for…a place where our family can gather with relatives and friends. A place where we can be creative, laugh, talk about our days, slow down for a moment and simply BE.